Cé mar a shuíonn FMS isteach le pleanáil forbartha scoile? Athfhrámú is ea féinmheastóireacht scoile (FMS) den phróiseas um phleanáil forbartha scoile (PFS). Beidh scoileanna a ghabh le féinathbhreithniú láidir mar chuid den phróiseas PFS eolach ar an gcuid is mó d’eilimintí FMS a luaitear sna Treoirlínte. Beidh úsáid rialta bainte ag scoileanna dá leithéid as fianaise ó réimse d’fhoinsí, lena n-áirítear sonraí measúnaithe, tuairimí na scoláirí, na dtuismitheoirí agus eile, chomh maith le hathmhachnamh ar theagasc agus ar fhoghlaim agus mar bhonnlíne do phleanáil forbartha scoile. Tugann FMS fócas níos mó ar bhailiú agus anailísiú fianaise agus ar bhreithiúnas ar cháilíocht. An gá do scoileanna DEIS gabháil don fhéinmheastóireacht agus spriocanna a leagadh amach arís chun an litearthacht agus an uimhearthacht a fheabhsú? Ó 2006/07 i leith, tá tacaíocht faighte ag scoileanna atá mar pháirt den Chlár Tacaíochta Scoile DEIS chun leibhéil reatha na gnóthachtála sa litearthacht, uimhearthacht agus gnóthachtáil sna scrúduithe (iar-bhunscoile) a mheas agus chun spriocanna a leagadh amach d’fheabhsúchán. D’éirigh le roinnt scoileanna, ag leibhéal na bunscoile ach go háirithe, leibhéil na gnóthachtála a fheabhsú sa litearthacht agus san uimhearthacht. Ba chóir do na scoileanna seo athbhreithniú a dhéanamh ar a dtimthriall pleanála reatha d’fheabhsúchán agus ba chóir dóibh leanúint de na pleananna sin a chur i bhfeidhm má tá siad bunaithe ar an fhéinmheastóireacht láidir (fianaise shoiléir chun tacú lena mbreithiúnais agus na gnéithe a dtugtar tús áite dóibh le forbairt) agus má tá spriocanna d’fheabhsúchán sainiúil agus intomhaiste. Ní gá do scoileanna dá leithéid próiseas na féinmheastóireachta a thosú arís. De rogha air sin ba chóir dóibh leanúint de thimthriall pleanála DEIS agus gabháil don phróiseas féinmheastóireachta mar a léirítear sna Treoirlínte nuair atá an plean trí bliana reatha curtha i bhfeidhm. Tá roinnt scoileanna DEIS fós ag céim luath i bhforbairt na bpleananna feabhsúcháin. Ba chóir do na scoileanna seo athbhreithniú a dhéanamh ar a gcleachtas reatha agus a chinntiú go bhfuil a bpleananna feabhsúcháin bunaithe ar an bhféinmheastóireacht láidir agus go bhfuil spriocanna chun feabhas a chur ar an litearthacht, an uimhearthacht agus gnóthachtáil sainiúil agus intomhaiste. An gá do Scoileanna Speisialta gabháil don fhéinmheastóireacht agus spriocanna a leagadh amach chun an litearthacht agus an uimhearthacht agus gnéithe eile den teagasc agus den fhoghlaim a fheabhsú? Is gá. Ba chóir do scoileanna speisialta gabháil do phróiseas na féinmheastóireachta mar a luaitear sa sceideal do bhunscoileanna nó sa sceideal d’iar-bhunscoileanna ag brath ar raon aoise na scoláirí. Ba chóir dóibh an próiseas a chur in oiriúint chun freastal ar riachtanais na scoláirí ina gcomhthéacs ar leith. Ba chóir dóibh a chinntiú go bhfuil na spriocanna chun feabhas a chur ar litearthacht agus uimhearthacht ag teacht leis na riachtanais ar leith atá ag a scoláirí. Cé mar is cóir do Scoileanna a fheidhmíonn trí mheán na Gaeilge gabháil don fhéinmheastóireacht agus spriocanna a leagadh amach chun an litearthacht a fheabhsú sa Ghaeilge agus sa Bhéarla chomh maith leis an uimhearthacht? Ba chóir do scoileanna a fheidhmíonn trí mheán na Gaeilge gabháil don fhéinmheastóireacht i litearthacht sa Ghaeilge, litearthacht sa Bhéarla agus uimhearthacht thar thréimhse an timthrialla tosaigh san fhéinmheastóireacht scoile. Mar shampla, is féidir leo an litearthacht sa Ghaeilge a roghnú mar thosaíocht sa chéad bhliain. Cuirfidh sé seo ar a gcumas tuairisc fhéinmheastóireachta a chur i gcrích agus plean feabhsúcháin trí bliana a chur ar bun. Ansin is féidir leo an litearthacht sa Bhéarla a roghnú mar thosaíocht sa chaoi is go mbeidh tuairisc fhéinmheastóireachta curtha i gcrích agus plean feabhsúcháin trí bliana ar bun. Ar deireadh, roghnóidh siad an uimhearthacht agus cuirfidh siad tuairisc fhéinmheastóireachta scoile agus plean feabhsúcháin i gcrích. Ar an gcaoi sin, ag deireadh an chéad timthrialla, beidh tuairiscí féinmheastóireachta scríofa acu agus pleananna feabhsúcháin ar bun don litearthacht sa Ghaeilge, don litearthacht sa Bhéarla agus don uimhearthacht. Ansin beidh siad in ann meastóireacht a dhéanamh ar ghnéithe eile den chleachtas. Conas a shuíonn féinmheastóireacht scoile isteach leis an straitéis litearthachta agus uimhearthachta? Ní tionscnamh breise í an fhéinmheastóireacht scoile – cuid dhílis is ea í den Straitéis Náisiúnta Litearthachta agus Uimhearthachta. Leagann an Clár don Rialtas 2011 amach spriocanna sainiúla maidir le féinmheastóireacht scoile agus feabhsúchán scoile. Léirítear na spriocanna seo sa straitéis litearthachta agus uimhearthachta, a chuireann iallach ar na scoileanna uile gabháil don fhéinmheastóireacht láidir agus plean feabhsúcháin scoile a chur ar bun le spriocanna sainiúla do chothú agus d’fheabhsúchán na litearthachta agus na huimhearthachta. Tá féinmheastóireacht scoile á thacú anois chun cuidiú le scoileanna na riachtanais seo a shásamh. Beidh ar scoileanna tús áite a thabhairt don litearthacht agus don uimhearthacht agus iad ag gabháil don fhéinmheastóireacht. Cén áit a bhfaighimid an t-am don fhéinmheastóireacht scoile? Tógann an fhéinmheastóireacht scoile ar an bpróiseas um phleanáil forbartha scoile. Tá struchtúir ar bun ag neart scoileanna chun ligean do phleanáil chomhoibríoch leanúnach a bheith ann. Tá cruinnithe foirne, cruinnithe grúpa ranga agus cruinnithe agus struchtúir ranna ábhair ar cuid de na bealaí ina gcuireann scoileanna am ar fáil do ghníomhaíochtaí pleanála. Tá an fhéinmheastóireacht scoile mar ghné thábhachtach de phleanáil dá leithéid. Tugann Imlitir 15/2011 léiriú ar an gcaoi inar féidir le bainistíocht scoile an soláthar ama breise atá de dhíth ó mhúinteoirí mar chuid de chomhaontú Pháirc an Chrócaigh a shannadh. Tá pleanáil scoile ar cheann de na gníomhaíochtaí atá san áireamh sa liosta de nithe ar féidir an t-am breise a úsáid ina leith. Ba chóir do bhainistíocht scoile machnamh a dhéanamh ar an bhféinmheastóireacht scoile a chur san áireamh i measc na ngníomhaíochtaí lena n-úsáidtear an t-am breise. Beidh cuid mhór den obair a bhaineann le féinmheastóireacht scoile ina cuid den chleachtas reatha i seomraí ranga agus i suíomhanna foghlama eile. Bealach éifeachtúil chun gabháil d’fheabhsúchán scoile is ea an fhéinmheastóireacht scoile a shuíomh laistigh den ghnáth-chleachtas sa seomra ranga. An féidir linn eilimintí den chreatlach teagaisc agus foghlama sna Treoirlínte a phiocadh agus a roghnú agus muid ag gabháil don fhéinmheastóireacht? Ní gá do scoileanna athbhreithniú sonrach a dhéanamh ar na téamaí meastóireachta ar fad. De rogha air sin, ba chóir do scoileanna na téamaí a roghnú d’fhéinmheastóireacht scoile de réir a riachtanas féin. Léiríonn an creat trí phríomhthéama: torthaí foghlama; eispéiris foghlama; agus cleachtas na múinteoirí. Moltar go dtosódh scoileanna trí fhéachaint ar thorthaí do scoláirí. Ba chóir go bhfeidhmeodh na critéir mheastóireachta do thorthaí foghlama scoláirí mar bhinsemharc chun cuidiú le scoileanna cinneadh ar éifeachtúlacht a gcleachtais. Ansin ba chóir dóibh na heispéiris foghlama a scrúdú (gabháil don fhoghlaim, mar shampla) agus cleachtais na múinteoirí (cur chuigí teagaisc, mar shampla) ba chúis leis na torthaí foghlama. Féadfaidh scoileanna a gcleachtas a bhinsemharcáil i ngach cás i gcoinne na gcritéar meastóireachta a luaitear sna Treoirlínte. An gá dúinn na cuir chuige agus na modhanna ar fad a mholtar sna Treoirlínte a úsáid? Tá sé tábhachtach nach mbaileofar an-iomarca eolais. Ba chóir do scoileanna na modhanna meastóireachta is fearr a oireann don eolas atá de dhíth orthu a roghnú go cúramach. Mar shampla, agus athbhreithniú á dhéanamh ar chur chuigí teagaisc, b’fhéidir nach mbeidh aon eolas ag scoileanna faoin gcaoi ina mbreathnaíonn scoláirí ar theagasc faoi láthair. I gcásanna mar sin, ba chóir do scoileanna suirbhé a dhéanamh ar scoláirí. Níor chóir dóibh ach líon beag ceisteanna a chur a thabharfaidh an t-eolas atá riachtanach. I scoileanna níos mó ba chóir machnamh a dhéanamh freisin ar shamplaí de scoláirí a úsáid, murab ionann agus suirbhé a dhéanamh ar na scoláirí uilig. Conas a úsáidimid na ráitis cháilíochta? Cuireann na ráitis cháilíochta tacar de chaighdeáin ar fáil chun cuidiú le scoileanna a gcleachtas i bhfo-théama meastóireachta ar leith a chur ar chontanam ó láidreachtaí suntasacha go laigí suntasacha. Léiríonn na ráitis cháilíochta scoil le láidreachtaí suntasacha i ngach ceann de na fo-théamaí meastóireachta. Scríobhtar i bhfoirm insinte iad agus is féidir iad a úsáid in éineacht leis na critéir mheastóireachta, a scríobhtar i bhfoirm phointí le hurchair, chun an cleachtas a chur i gcomparáid le cleachtas i scoil a bhfuil caighdeán ard sroichte aici. Is féidir láidreachtaí suntasacha a bheith ag scoileanna gan an caighdeán seo a shroicheadh. Cén obair ar pháipéar is gá don fhéinmheastóireacht scoile? Baineann féinmheastóireacht scoile mhaith le feabhas a chur ar an gcaoi ina múineann múinteoirí agus ar an bhfoghlaim a bhaineann scoláirí amach. Is gá tátail na féinmheastóireachta a thaifeadadh. Ba chóir go ndéanfadh tuairisc fhéinmheastóireachta scoile ghairid (dhá nó trí leathanach ar a mhéid) taifead ar ghnéithe den chleachtas a roghnaíodh don fhéinmheastóireacht scoile, cuntas gairid ar chomhthéacs na scoile, tátail na féinmheastóireachta scoile, achoimre ar láidreachtaí na scoile agus achoimre ar na réimsí ina bhfuil gá le feabhsúchán. Mar chuid d’fhéinmheastóireacht scoile, ba chóir do bhoird bhainistíochta athbhreithniú a dhéanamh ar na riachtanais reachtúla agus rialála a chaithfidh scoileanna a chomhlíonadh. Ba chóir é seo a dhéanamh uair sa bhliain agus tugann na Treoirlínte seicliosta éasca le líonadh ag an mbord bainistíochta agus le greamú leis an dtuairisc fhéinmheastóireachta scoile. Ba chóir do gach scoil achoimre ghairid FMS ar an tuairisc FMS a cheapadh faoi stiúir an bhoird bhainistíochta agus í seo a eisiúint don phobal scoile uile. Ceapfaidh scoileanna plean feabhsúcháin scoile freisin. Cuimseoidh an plean achoimre ar na réimsí feabhsúcháin atá aitheanta sa mheastóireacht, spriocanna d’fheabhsúchán (le fócas ar thorthaí foghlaimeora), gníomhartha atá de dhíth chun na spriocanna a bhaint amach, tagairt dóibh siúd atá freagrach as gníomhartha a ghlacadh, ráiteas ar an gcaoi ina seiceálfaidh an scoil cé acu ar baineadh amach na spriocanna agus fráma ama chun na spriocanna a bhaint amach. Ba chóir go mbeadh an plean feabhsúcháin scoile gonta. Ba chóir achoimre ghairid a sholáthar don phobal scoile uile. Conas a chuireann an scoil torthaí na féinmheastóireachta scoile in iúl? Cé dóibh an plean feabhsúcháin scoile? Cuideoidh an tuairisc fhéinmheastóireachta leis na múinteoirí uile agus leis an mbord bainistíochta taifead soiléir a bheith acu ar a bhfuil nochtaithe ag an meastóireacht agus na tosaíochtaí atá leagtha síos ag an scoil d’fhorbairt. Ba chóir go mbeadh cóip den tuairisc fhéinmheastóireachta ag gach múinteoir agus ag gach ball den bhord bainistíochta. Beidh rochtain ag Cigirí na Roinne ar an tuairisc fhéinmheastóireachta freisin le linn a gcuid oibre. Beidh gá le hachoimre ar an tuairisc fhéinmheastóireachta, a thugann liosta de bhuanna na scoile agus na tosaíochtaí atá leagtha síos ag an scoil d’fhorbairt, do chumarsáid don phobal scoile uile. Cuideoidh sé le ceannaireacht agus bainistíocht na scoile tuairisc a thabhairt do thuismitheoirí ar oibriú na scoile mar a éilítear faoi Alt 20 den Acht Oideachais (1998). Is don phobal scoile uile é an plean feabhsúcháin scoile. Beidh sé an-úsáideach do na múinteoirí uile mar threoir chun gníomhaíochtaí feabhsúcháin a chur i gcrích agus tabharfaidh sé bealach don bhord bainistíochta le monatóireacht a dhéanamh ar fhorbairt agus feabhsúchán. Beidh sé chomh húsáideach céanna do cheannaireacht agus bainistíocht na scoile agus tuairisc bhliantúil á hullmhú acu do thuismitheoirí ar oibriú na scoile. Beidh rochtain ag cigirí ar an bplean feabhsúcháin scoile le linn a gcuid oibre. Cuirfidh scoileanna achoimre ar a bplean feabhsúcháin scoile ar fáil don phobal scoile níos leithne. Ar chóir go gcuimseodh tuairisc fhéinmheastóireachta achomair na scoile eolas faoi fheidhmíocht scoláirí daltaí i dtrialacha measúnaithe nó i scrúduithe stáit? Cinnfidh bord bainistíochta na scoile inneachar mionsonrach na tuairisce féinmheastóireachta achomair. Príomhaidhm na tuairisce achomair is ea breithiúnais a chur in iúl maidir le buanna na scoile agus a cuid tosaíochta d’fhorbairt. Beidh siad seo bunaithe ar réimse leathan fianaise faoi theagasc agus foghlaim. Féadfaidh an tuairisc achomair ráitis ghinearálta a áireamh faoi fheidhmíocht scoláirí i bpríomhréimsí, ach níor chóir mionanailís ar thorthaí na dtrialacha measúnaithe ná ar na torthaí a bhain scoláirí amach sna scrúduithe stáit a chur san áireamh sa tuairisc fhéinmheastóireachta achomair. Cé ba chóir a bheith páirteach sa phróiseas FMS? Ba chóir go mbeadh féinmheastóireacht scoile á threorú ag príomhoide na scoile mar chuid de na dualgais a luaitear faoi Alt 23 (2d) den Acht Oideachais (1998). Faoi stiúir an bhoird bhainistíochta agus an phátrúin, ba chóir don phríomhoide a chinntiú go gcomhroinntear freagracht as féinmheastóireacht scoile agus go ndéantar cuid de chleachtas laethúil na múinteoirí uile sa scoil di. Ba chóir go mbeadh ról gníomhach ag baill eile de phobal na scoile, amhail tuismitheoirí agus scoláirí sna gnéithe den fhéinmheastóireacht a bhaineann leo. Ba chóir don bhord bainistíochta treoir fhoriomlán a thabhairt don phróiseas agus a chinntiú go gcuireann an mheastóireacht éiteas ar leith agus sainspiorad na scoile san áireamh. Ba chóir dóibh freisin cleachtas na scoile a sheiceáil maidir le riachtanais reachtaíochta agus reachtúla ar bhonn rialta. Ba chóir dul i gcomhairle le tuismitheoirí agus le daltaí de réir mar is cuí, mar shampla chun fianaise a bhailiú faoi dhearcthaí ar an litearthacht agus ar an uimhearthacht nó a dtaithí ar an bhfoghlaim. Ceann de na ceisteanna coitianta a ardaíonn scoileanna DEIS ná ‘cá bhfuil an nasc idir an méid atá déanta againn in ár bpleanáil ghníomhaíochta DEIS agus an FMS?’ Freagraíonn an PDF thíos an cheist seo agus go leor ceisteanna eile. Leagann sé amach an nasc idir phleanáil ghníomhaíochta DEIS agus FMS agus conas is féidir le bunscoileanna agus iar-bhunscoileanna DEIS a riachtanais FMS a chomhlíonadh go hiomlán.  Le linn na scoilbhliana 2011/12, ghlac dhá scoil déag páirt i dtriail don Fhéinmheastóireacht Scoile. Le linn na bliana, bhain sé bunscoil agus sé iarbhunscoil úsáid as dréachtanna de na Treoirlínte agus de na huirlisí. Thíos, tá fístéipeanna ina léirítear dul chun cinn an tionscnaimh. Cén fáth go bhfuil Féinmheastóireacht Scoile ann? Tugann FMS deiseanna do scoileanna a gcleachtas féin a scrúdú laistigh dá gcomhthéacs féin agus tuairisciú ar a láidreachtaí agus ar a réimsí feabhsúcháin dá bpobal scoile féin. Tá tairbhe ann do mhúinteoirí toisc go gcomhroinneann siad eispéiris agus cuidíonn sé leo a bheith níos éifeachtúla fós ina seomraí ranga. Tá tairbhe ann do scoláirí toisc go mbíonn baint acu lena n-oibríonn dóibh agus le cad a chuideodh leo foghlaim. Tá tairbhe ann don scoil toisc go ndíríonn na múinteoirí uile ar an líon beag straitéisí d’fheabhsúchán. Oibríonn FMS. Léiríonn an taighde go mbíonn feabhsúchán ann mar thoradh ar FMS bhríoch, atá dírithe ar theagasc agus ar fhoghlaim agus ar thorthaí a fheabhsú do scoláirí. Léiríonn an fhianaise ó scoileanna DEIS, mar shampla, nuair a dhéanann príomhoidí agus múinteoirí anailís ar an eolas atá ar fáil agus nuair a úsáideann siad é seo mar bhunús le spriocanna a shocrú d’fheabhsúchán, go ndéanann siad céimeanna móra chun tosaigh i bhfeabhsú na dtorthaí do scoláirí. Ar an gcaoi chéanna, thuairiscigh scoileanna a bhí páirteach sa chéim phíolótach de FMS go raibh neart torthaí dearfacha ann. Ag leibhéil iarbhunscoile, mhúin tionscnaimh ar nós TL21, tionscnamh na Ceannasaíochta Teagaisc agus tionscnamh na Scoile Foghlama dúinn, áit a gcomhoibríonn múinteoirí chun scrúdú agus athmhachnamh a dhéanamh ar a gcleachtas féin agus chun an bealach ina múineann siad a athrú, go bhfeabhsaíonn siad an fhoghlaim dá scoláirí. I measúnuithe idirnáisiúnta, éiríonn go maith le tíortha ar nós na Fionlainne, na hAlban agus na Nua-Shéalainne, áit a spreagtar scoileanna le hathmhachnamh agus scrúdú a dhéanamh ar a gcleachtas féin agus le freagracht a ghlacadh as feabhsúchán laistigh dá scoileanna féin. Cén fáth teagasc agus foghlaim? Le breis agus deich mbliana anuas, tacaíodh le scoileanna gabháil do phleanáil forbartha scoile (PFS). Tá glactha ag scoileanna le gnéithe den phróiseas, mar shampla, ag gabháil don phlé comhoibríoch maidir le polasaithe a fhorbairt. Chruthaigh siad neart polasaithe scoile uile a bhí úsáideach agus riachtanach. Bíodh sin mar atá, go rómhinic is é a bhí mar thoradh ar an bpróiseas ná páipéarachas nach raibh tionchar bríoch aige ar an obair sna seomraí ranga. Sin é an fáth go bhfuiltear ag iarraidh ar scoileanna anois díriú ar theagasc agus ar fhoghlaim agus ar thorthaí a fheabhsú do scoláirí. Seo príomhobair na scoileanna. Ba chóir go gcuideodh féinmheastóireacht scoile le scoileanna athmhachnamh a dhéanamh ar theagasc agus ar fhoghlaim sa seomra ranga, é a scrúdú agus é a fheabhsú. Tá FMS mar chuid de chur chuige cothrom agus comhtháite chun tacú le teagasc agus foghlaim níos fearr i gcóras scolaíochta na hÉireann. Tá sé ina chuid lárnach den Straitéis Náisiúnta Litearthachta agus Uimhearthachta agus tacóidh sé le scoileanna scrúdú agus athmhachnamh a dhéanamh ar an ngné seo dá gcuid oibre d’fhonn torthaí do scoláirí a fheabhsú. Tá FMS ag teacht le pleanáil DEIS agus tá scoileanna atá gafa cheana féin le pleanáil gníomhaíochta DEIS éifeachtúil a thugann torthaí feabhsaithe do scoláirí suite go maith chun an obair seo a leanúint agus a fhorbairt ag baint úsáide as an bpróiseas FMS. Tá FMS ag teacht freisin le hathruithe curaclaim sa tSraith Shóisearach a chuireann neamhspleáchas níos mó i lámha na múinteoirí agus na scoileanna. Cad is Féinmheastóireacht Scoile ann? Is é is féinmheastóireacht scoile (FMS) ann ná próiseas comhoibríoch, athmhachnamhach agus cuimsitheach den athbhreithniú inmheánach scoile. Le linn FMS, beidh an príomhoide, an príomhoide tánaisteach agus na múinteoirí, faoi stiúir an bhoird bhainistíochta agus an phátrúin, agus i gcomhairle leis na tuismitheoirí agus leis na scoláirí, páirteach i bhfiosrú athmhachnamhach ar obair na scoile. Baineann féinmheastóireacht scoile go príomha le feabhsúchán agus le forbairt scoile. Céim chun tosaigh a ghlacadh le feabhas a chur ar cháilíocht an oideachais a chuireann siad ar fáil dá scoláirí. A bhfuil ag obair go maith a dhearbhú, agus tógáil air. Réimsí ina bhfuil gá le forbairt a aithint agus cinneadh ar na gníomhartha atá le déanamh chun feabhsúcháin a chur i bhfeidhm sna réimsí sin. Tuairisciú do phobal na scoile faoi na láidreachtaí in obair na scoile agus na tosaíochtaí d’fheabhsúchán agus d’fhorbairt. Déanann múinteoirí athmhachnamh ar a gcuid oibre agus ar an bhfoghlaim a mbaineann a scoláirí amach mar chuid dá n-obair ghairmiúil laethúil. Le blianta anuas bhain scoileanna úsáid as an bpróiseas pleanála forbartha scoile chun a aithint cad atá ag obair go maith agus cad a d’fhéadfaí a fheabhsú. Bealach is ea féinmheastóireacht scoile inar féidir an próiseas seo d’athmhachnamh, d’fheabhsúchán agus d’fhorbairt a bheith ann ar bhealach níos córasaí. Leagann féinmheastóireacht scoile níos mó béime ar fhianaise faoi obair na scoile a bhailiú, a scrúdú agus a roinnt nuair atá cinntí á ndéanamh faoina bhfuil ag obair go maith agus faoi na réimsí ina bhfuil gá le feabhsúchán agus le forbairt. Feabhsaíonn féinmheastóireacht scoile foghlaim na scoláirí. Léiríonn an taithí in Éirinn agus i dtíortha eile, nuair a dhéanann múinteoirí athmhachnamh ar a gcleachtas go rialta agus nuair a dhíríonn siad ar theagasc agus ar fhoghlaim a fheabhsú sna seomraí ranga, is féidir leo an fhoghlaim a bhaineann scoláirí amach a fheabhsú. Saibhríonn féinmheastóireacht scoile saol gairmiúil na múinteoirí. Déanann múinteoirí a ghabhann do FMS athmhachnamh ar an gcaoi ina mhúineann siad agus comhroinneann siad smaointe agus ceisteanna lena gcomhghleacaithe ar bhealach atá tairbheach agus tacúil ó thaobh na gairme de. Tá eolas níos mionsonraí ar FMS ar fáil i Féinmheastóireacht Scoile: Treoirlínte d’Iar-Bhunscoileanna. Conas ba chóir dúinn tosú? Conas mar atá ag éirí linn? Conas is féidir linn tuilleadh a fháil amach? Cad iad na réimsí ar gá a fheabhsú? Conas is féidir linn feabhsú? Taifid ar dhul chun cinn agus sonraí measúnaithe, foirmitheach agus suimitheach. Tuairimí na scoláirí, na dtuismitheoirí, na múinteoirí agus na bainistíochta. Athmhachnamh an mhúinteora aonair agus athmhachnamh an ghrúpa. Plé gairmiúil agus comhroinnt eispéireas i measc na múinteoirí. Athbhreithniú gairmiúil comhoibríoch ar theagasc agus ar fhoghlaim. Nuair atá a gcuid fianaise anailísithe ag scoileanna, cuideoidh a bhfianaise, na critéir mheastóireachta agus na ráitis cháilíochta sna Treoirlínte (leathanaigh 28-45) leo a gcleachtas a bhinsemharcáil agus breithiúnais a dhéanamh faoin láidreachtaí agus faoin réimsí le feabhsú. Tá tuilleadh eolais faoi thús a chur leis an bpróiseas FMS ar fáil sa Réamhrá don Fhéinmheastóireacht Scoile ar Theagasc agus ar Fhoghlaim in Iar-Bhunscoileanna (leathanaigh 11-13) agus i Féinmheastóireacht Scoile: Treoirlínte d’Iar-Bhunscoileanna (leathanaigh 24-26). Cé ba chóir a bheith páirteach? Tugann féinmheastóireacht scoile deis do scoileanna freagracht a ghlacadh as oideachas den scoth a sholáthar dá ndaltaí. Ba chóir go mbeadh an fhreagracht seo á roinnt ag an bpobal scoile uile. Ba chóir go mbeadh bord bainistíochta na scoile, an príomhoide, an príomhoide tánaisteach agus na múinteoirí agus, mar is cuí, tuismitheoirí agus daltaí, páirteach sa phróiseas FMS. Ba chóir go mbeadh féinmheastóireacht scoile á treorú ag príomhoide na scoile. Faoi stiúir an bhoird bhainistíochta, ba chóir don phríomhoide a chinntiú go gcomhroinnfear freagracht as féinmheastóireacht scoile agus go ndéanfar cuid de chleachtas laethúil na múinteoirí uile sa scoil de. Ba chóir go gcuideodh cruinnithe foirne nó struchtúir scoile eile leis an bhfoireann teagaisc uile obair lena chéile chun cinneadh a dhéanamh maidir le fócas na féinmheastóireachta scoile agus an fheabhsúcháin scoile. Ba chóir go mbeadh ról lárnach ag múinteoirí i bpróiseas na féinmheastóireachta scoile. Bailíonn múinteoirí réimse d’fhianaise cheana féin mar chuid dá n-obair laethúil. B’fhéidir go bhfuil athmhachnamh á dhéanamh acu cheana féin ar a gcleachtas agus eispéiris á gcomhroinnt acu le comhghleacaithe. Cuideoidh an próiseas FMS leo tairbhe níos mó a bhaint as an bplé gairmiúil de réir mar a athbhreithníonn siad a gcleachtas. Tá freagracht ar an iomlán ag an mbord bainistíochta as a chinntiú go gcuirtear oideachas cuí ar fáil do na daltaí uile, laistigh de chomhthéacs na scoile agus éiteas agus sainspiorad na scoile á léiriú. Ba chóir don bhord a chinntiú go bhfuil socruithe cuí ann chun a chur ar chumas na foirne teagaisc gabháil don phróiseas FMS. Ba chóir don bhord cleachtas na scoile a mheas maidir le riachtanais reachtúla agus rialála ar bhonn rialta. Ba chóir go gcuideodh seicliosta a thugtar sna Treoirlínte (leathanaigh 64-67) le boird é seo a dhéanamh. Ba chóir don bhord freisin achoimre ar thuairisc fhéinmheastóireachta agus ar thuairisc feabhsúcháin na scoile a thabhairt don phobal scoile uile uair sa bhliain. Ba chóir dul i gcomhairle le tuismitheoirí agus le daltaí mar is cuí, mar shampla ag bailiú fianaise faoina dtaithí ar an bhfoghlaim agus faoin gcaoi inar féidir feabhas a chur ar an bhfoghlaim. Tá tuilleadh eolais ar cé ba chóir a bheith páirteach sa phróiseas ar fáil sa Réamhrá don Fhéinmheastóireacht Scoile ar Theagasc agus ar Fhoghlaim in Iar-Bhunscoileanna (leathanaigh 13-17).